north of the country are the Alps, known as the Dolomites. They are characterized by rock formations that create beautiful scenery. 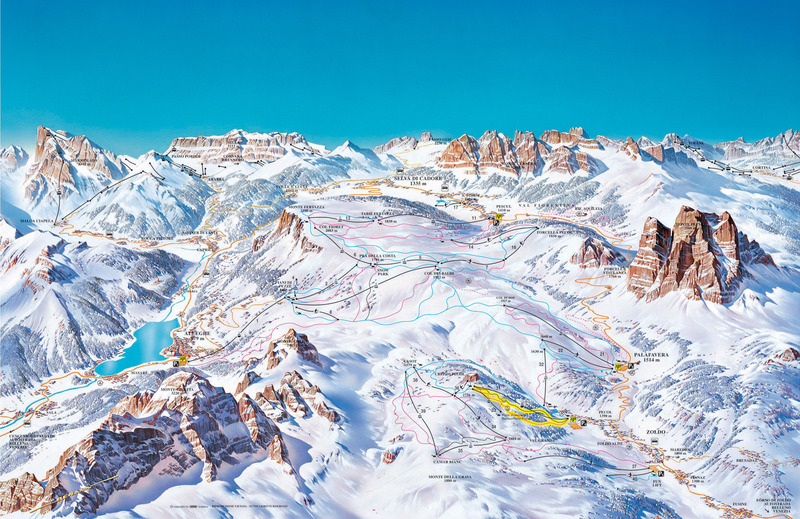 The popularity of our skiers are ski slopes in the Dolomites Superski campuses and Skirama Dolomiti. 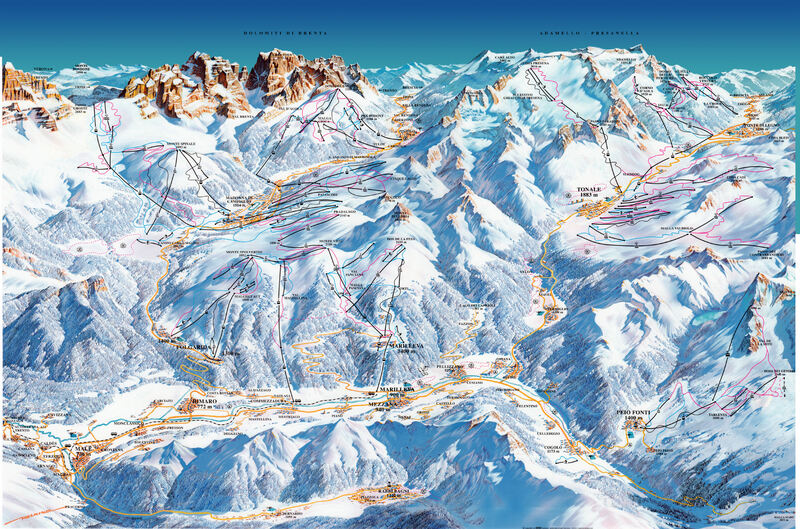 They are located in the Italian region of Trentino and includes the ski resorts: Val di Fiemme, Arabba, Cortina d'Ampezzo, or popular Marilleva, which is linked to Madonna di Campiglio, the dream of every skier - Sella Ronda ski carousel would not miss any of the trophies Alpine skier. Ski resort Alpe di Siusi is situated on a broad plateau, the plan offers sun-drenched slopes of central and easy difficulty, suitable for families and recreational skiers. 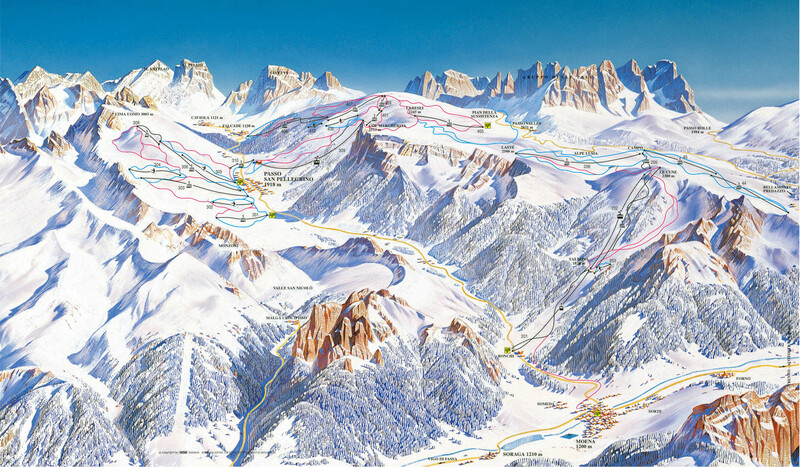 Area Alpe di Siusi - Val Gardena and resorts Wolkenstein, Selva Gardena, Ortisei, Santa Cristina, Plan de Gralba has 175 kilometers of ski slopes, ski carousel is part of the Sella Ronda. 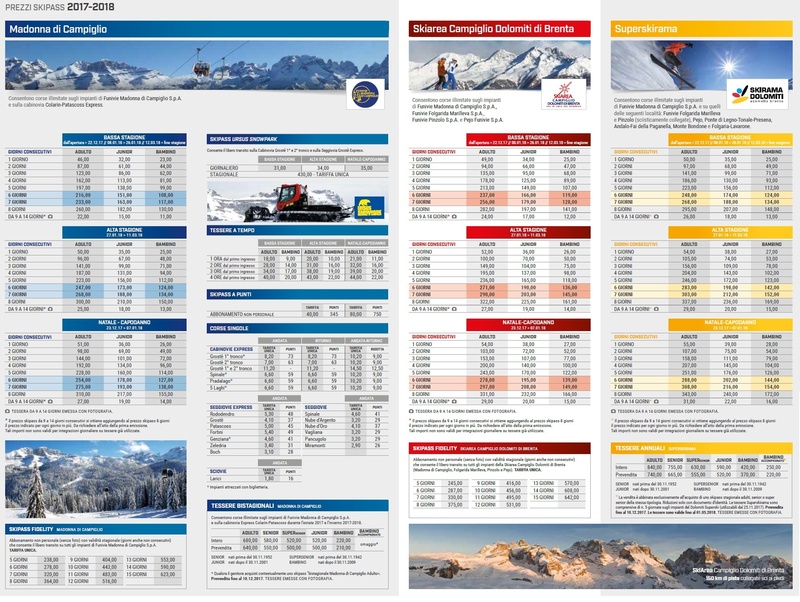 Ski resort Alta Badia has its own ski conditions big advantage in that it is part of the Sella Ronda circuit, the local excellent pistes and deliver the perfect accommodations, also of shops, cafes, confectioneries, restaurants, bars and discos. Village town Alta Badia is Corvara in Badia. 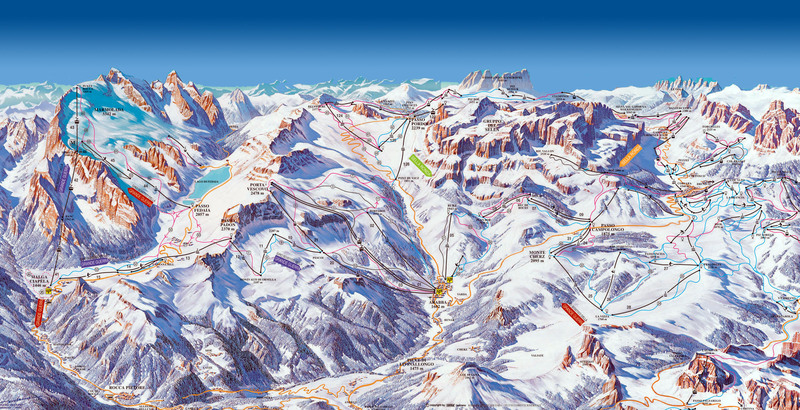 With ski pass Dolomiti Superski skiing on 1.250 km slopes and 480 lifts. 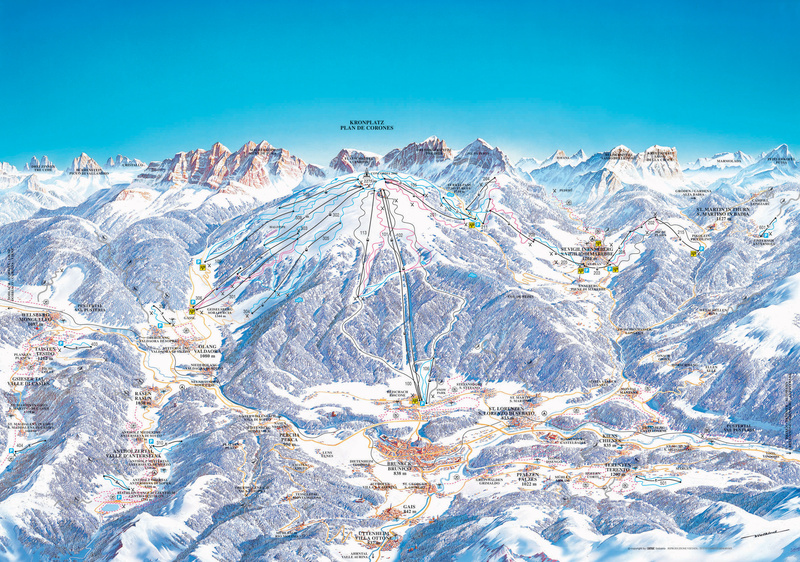 Alta Pusteria ski resort is situated on the Austro-Italian border as a gateway to the Dolomites. 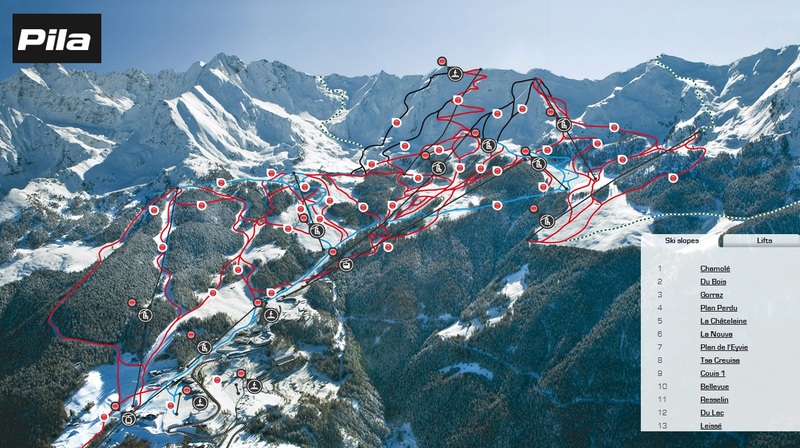 It offers its visitors 55 km of pistes, of which 45 kilometers is artificial snow. 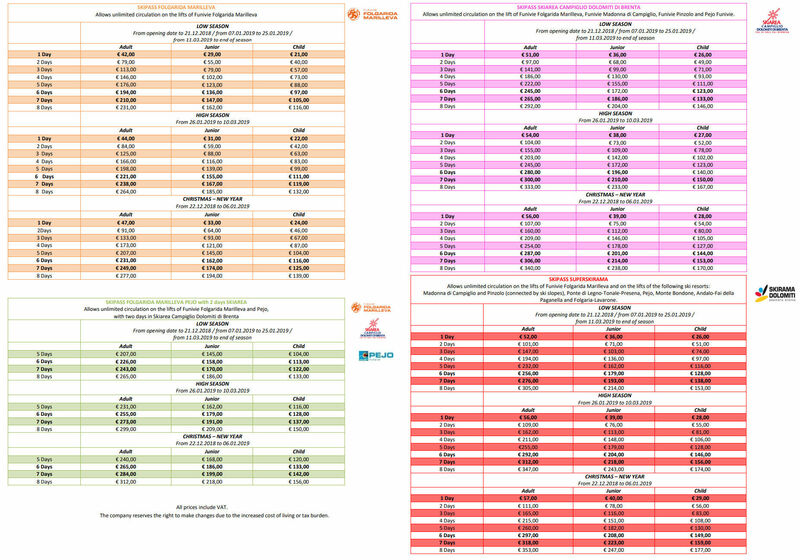 Difficulty lines indicates that the beginner and proficient skier chooses the appropriate route and at the same time shaping the ski resort Alta Pusteria for family skiing. 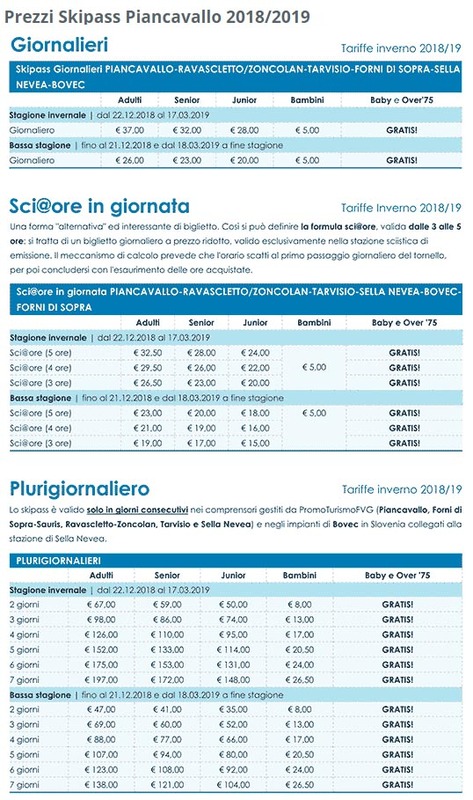 Skiing in Bardonecchia offers two separate centers, connected skibuss. In a few minutes to get from the shuttle-center Colomion Les Arnauds-Melezet with slopes mostly in the forest (altitude 2440 meters Vallon Cros) Jafferau the area with a lot of freeride terrain and unique perspectives from a height of 2800 meters. 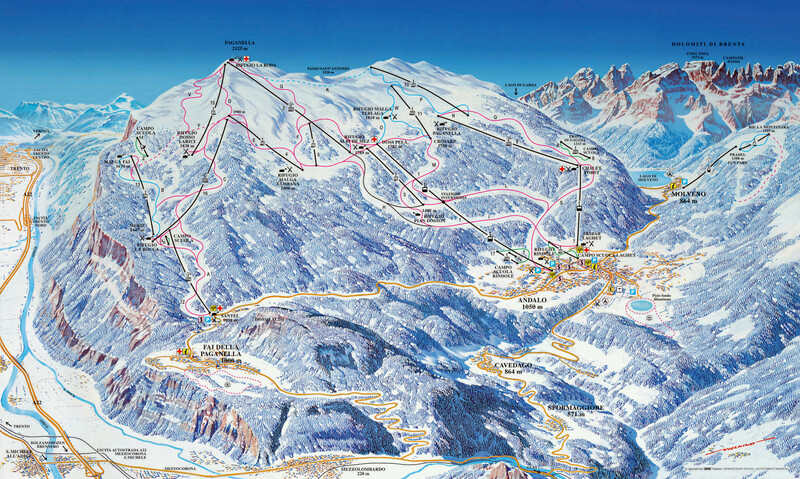 Bormio - Santa Caterina has ski slopes all levels. Skiing with a unique elevation over 1800 meters to 10 kilometers long slope unforgettable. Bormio FIS belongs to the family-centers, are held here regularly World Cup races, World Cup skiing and many other plants. Best of Lombardia and Alta Valtellina. Veneto region is associated with large rather than a seaside resort Bibione and Jesolo, representing a favorite among lovers of river Venetian holiday in Italy. 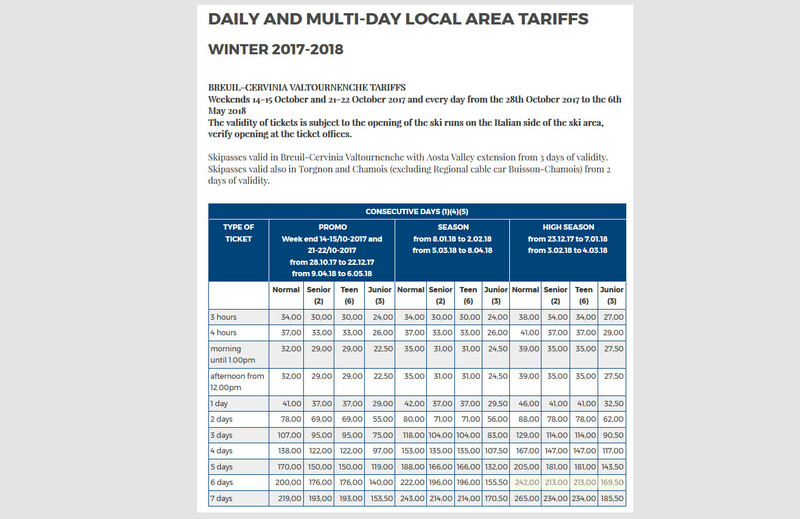 Significantly smaller group knows that the region that extends north to the Dolomites offers three quality ski resorts of European importance as Civetta - quality family skiing 80 km. Skiing on majestic giant of Mont Blanc (4810 meters), all perfectly prepared track intensity, the longest ski slopes in the center measuring over 6 kilometers, you can try the famous French Chamonix or Verbier Swiss. 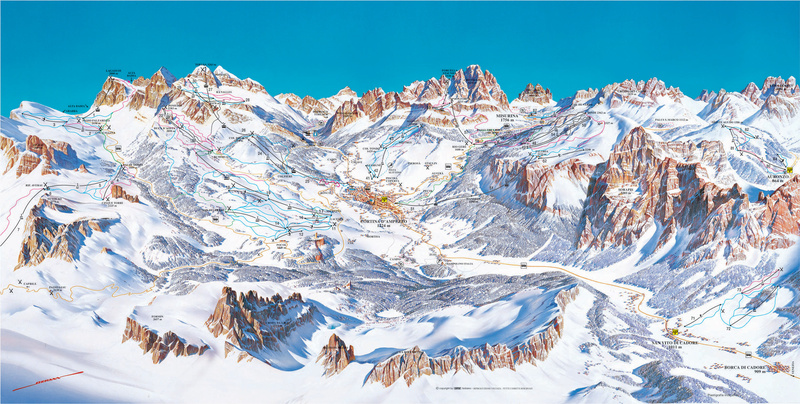 In addition to Courmayeur excellent skiing and enjoy the beauty of the high Alps several 4-thousands. 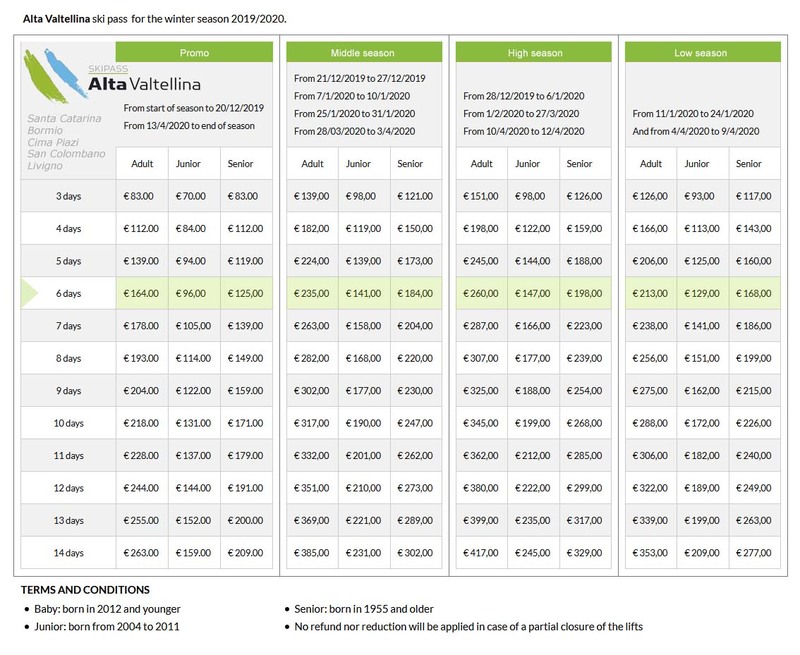 Most affordable ski resort in Val di Sole Folgaria - Lavarone. 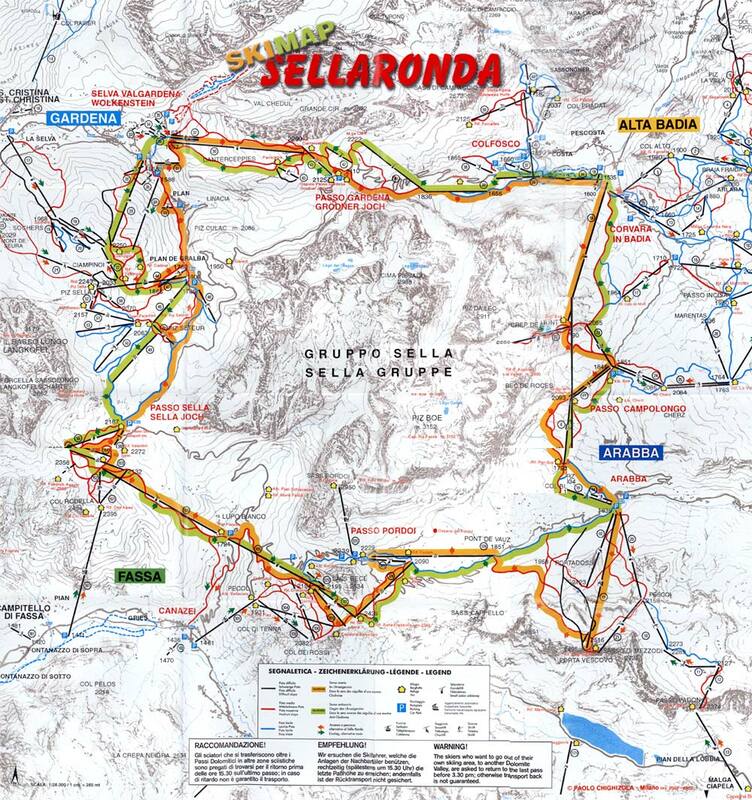 Each skier will find the track of its total 71 km of ski trails maintained. Against the lack of natural snow is completely secure and 100% artificial snow trails, 30 lifts and lifts used to transport right to the tops of slopes without waiting in line. Nice skiing Italy for family. Italy Marilleva over the past 15 years flooded with crowds of Czech, Polish and Slovak ski already. At times you feel that you are somewhere in the Giant or the Tatras. Not surprisingly, the Center is a combination of ingredients that need to good skiing. 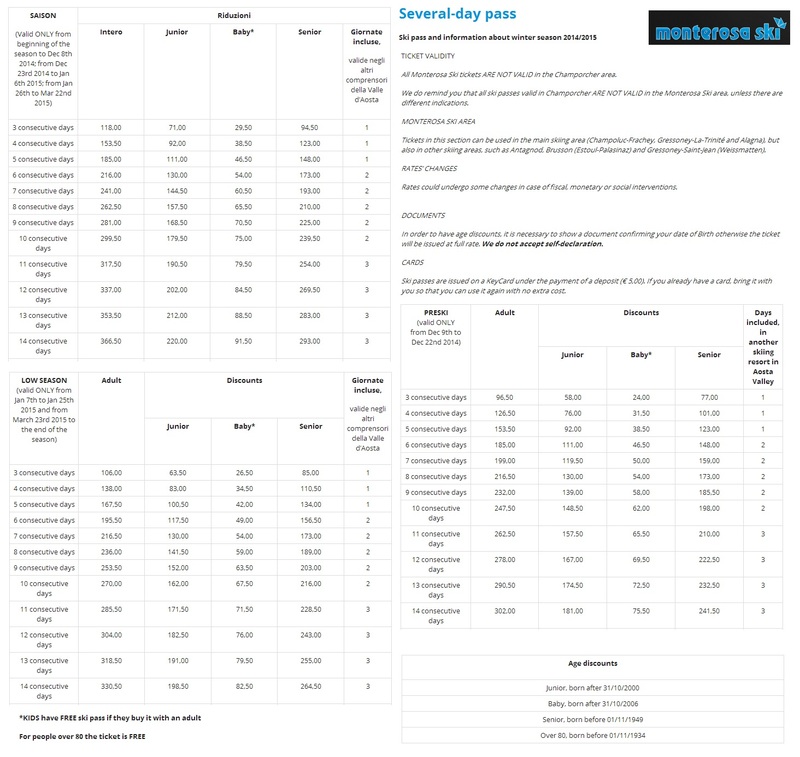 Hotel directly on ski slopes, easy to track the sun, low prices. History of the ski resort back to a time when skiing telemark, in 60th years have built advanced chairlifts, cabins, ski lifts in Les Suches, followed by Chaz Dura, Cerellaz and Belvedere, to reach today's dimensions and center link to the neighboring La Rosiere in France gives him cachet 5-stars. 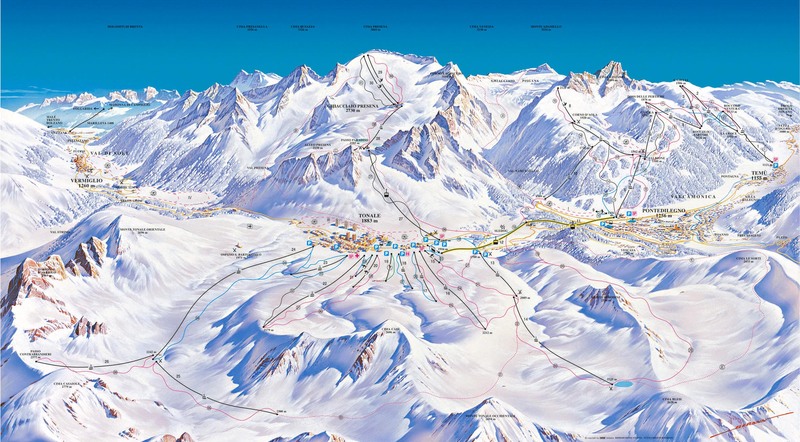 Alta Valtellina ski area is located near the Swiss border, near the center St.Moritz. 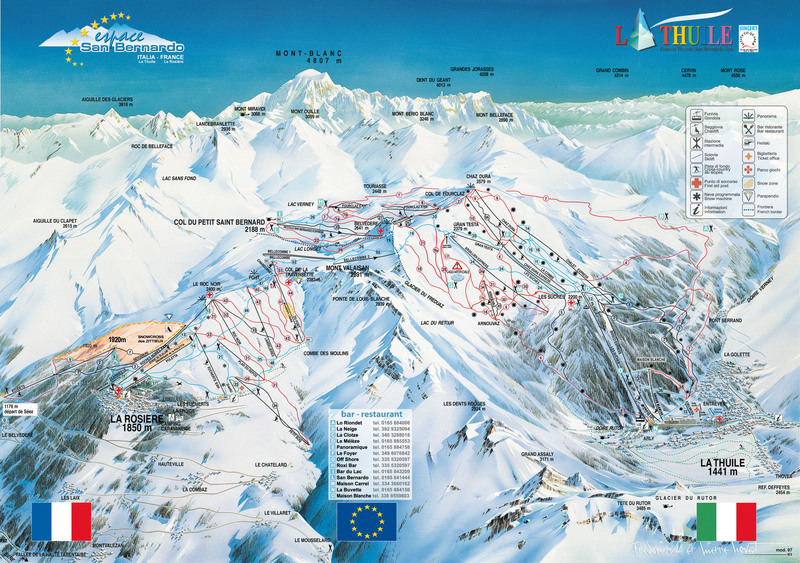 Alta Valtellina ski resorts include Livigno / Mottolino, Livigno / Carosello, Bormio, San Colombano and Santa Caterina. 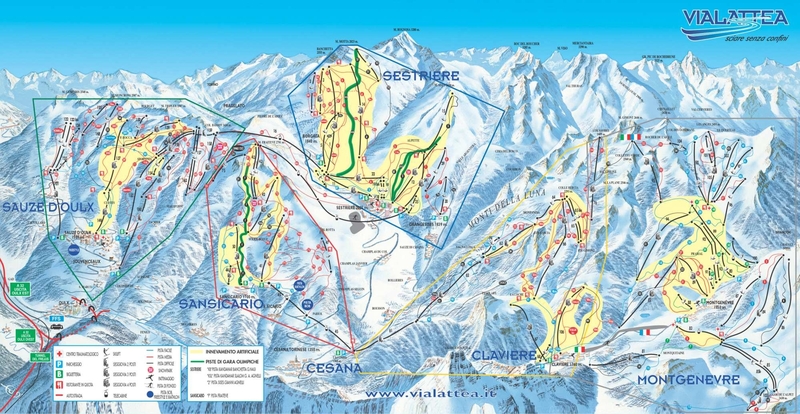 Alta Valtellina has 225 km of ski slopes for all levels. 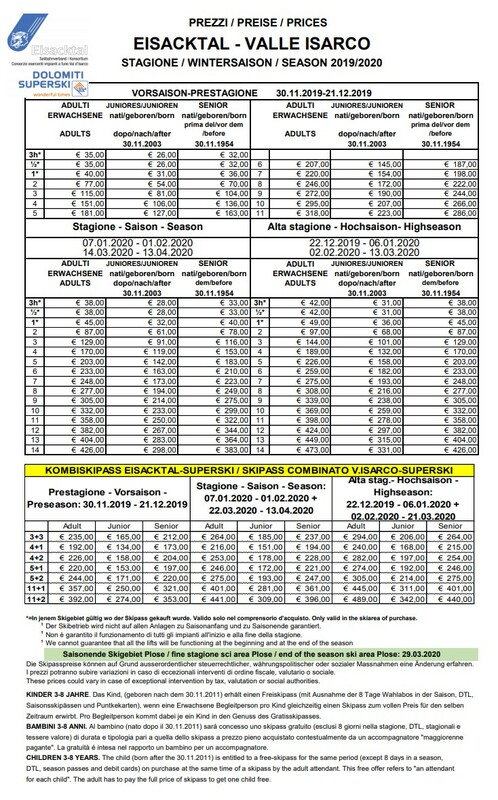 Ski season hit the year 2012 in skiing Italy. The most famous ski resort in Italy. You'll find the perfect service, ski runs of all difficulty and slopes for snowboarding and skiing enthusiasts in free field. 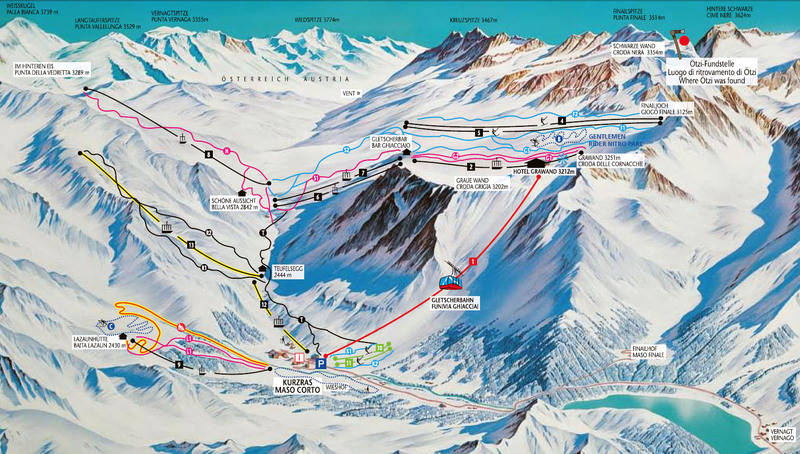 17 ski schools and nearly 150 ski instructors you devoted to this art. 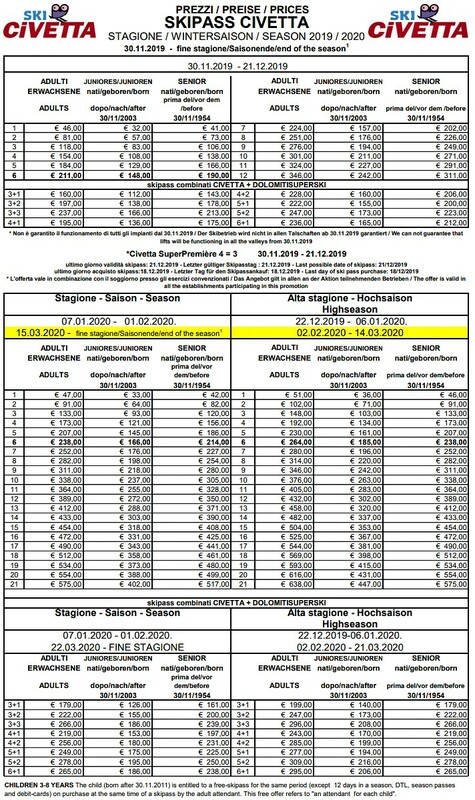 Madonna di Campiglio organize a race in all ski disciplines. Marmolada 3269 m provides ski slopes, which are due to the high percentage of middle and upper slopes of peak intensity, not only in Italy but across Europe. The central town Malga Ciapele aims lovers skialpinismu, freeride, ski well - tourists. Italian skiing glacier Marmolada. Italian ski resort Monte Bondone is located just a few kilometres from Trento town. 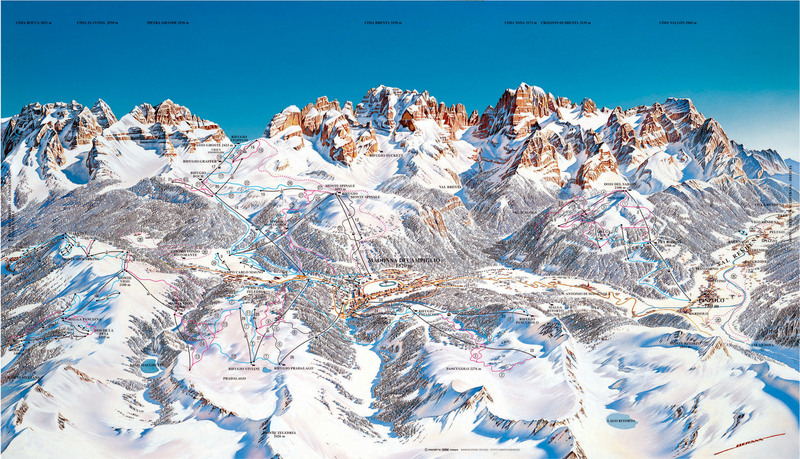 It belongs to the few separate ski resorts which use a common skipass Skirama Dolomiti. That means you can ski with the same skipass in f.e. Madonna di Campiglio, Folgarida-Marilleva, Tonale etc. 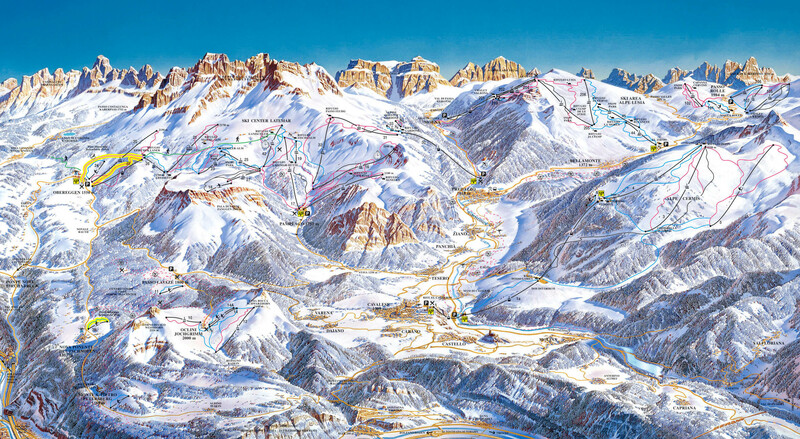 Monte Bondone offers skiing on 20km ski slopes, the whole Skirama area total of 380km trails. On top Paganella over the city of Trento same name is a ski resort with family character. 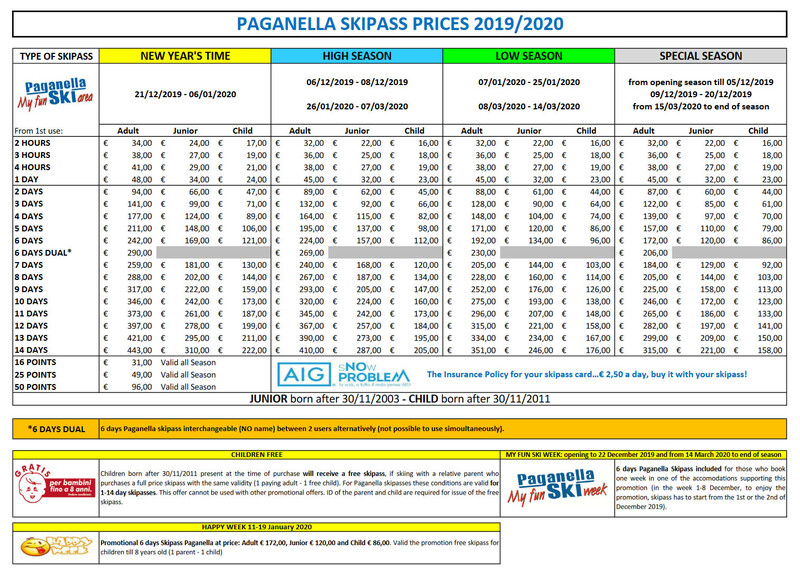 Like other suburban ski resorts, not even for customers Paganella hardship. Doing so does not belong to any Alpine power. All 50 km of groomed trails, almost all red, the former head home on weekends crowded ski clients. 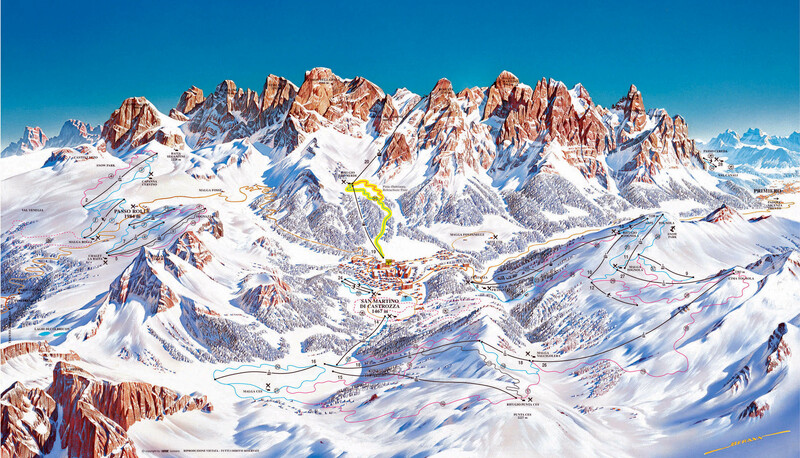 Small ski resort in the Skirama Dolomiti area lies a bit off the main road leading through the Valley of Sun. 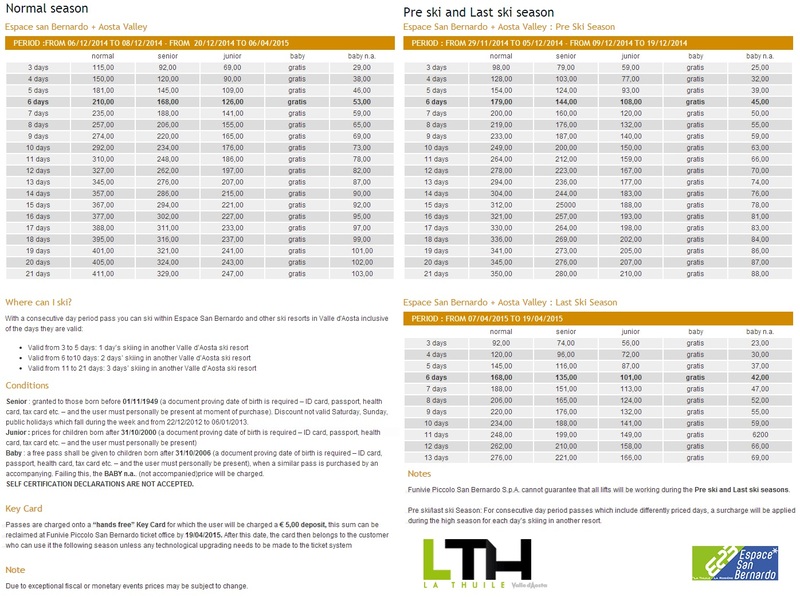 Ski experts should invest a day's ski testing. From an altitude of 3.000m a 6km downhill trail leads down to the spa town Peio Fonti (1.400m) - also middle advanced skiers will enjoy this. Peaceful environment, almost alone on slopes. 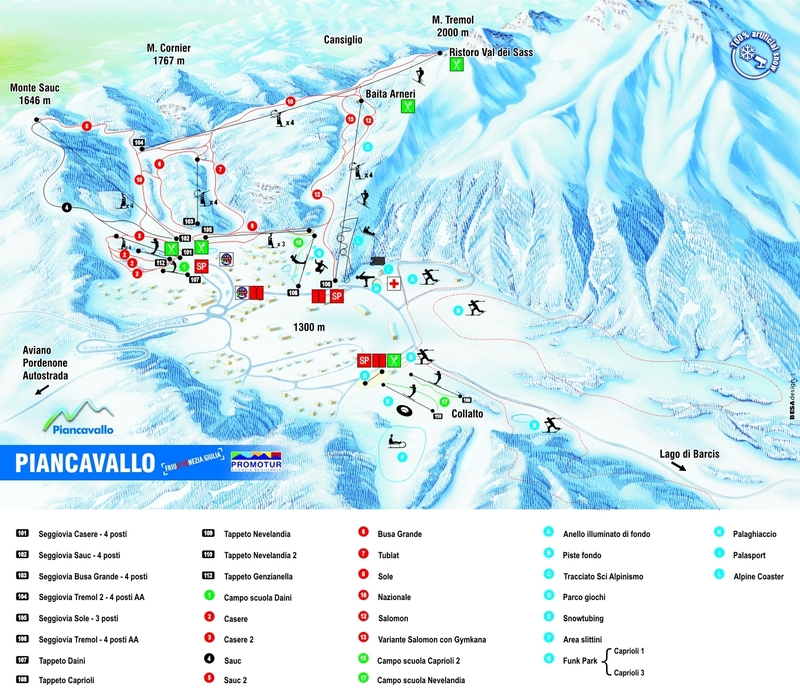 The most significant ski area of Italian region Friuli Venezia Giulia is Piancavallo. Although not big in size with its 25km of ski slopes it offers all pleasures and facilities necessary for a pleasant family ski holiday. Ice hall, night skiing wellness, ski school and children´s clubs with attractions such as dog sled race. The top gondola station offers view on the Adriatic sea. Pila is a ski resort located in immediate vicinity of the region capital Aosta. A gondola connects the city with the ski area accessible within 20 minutes ride. 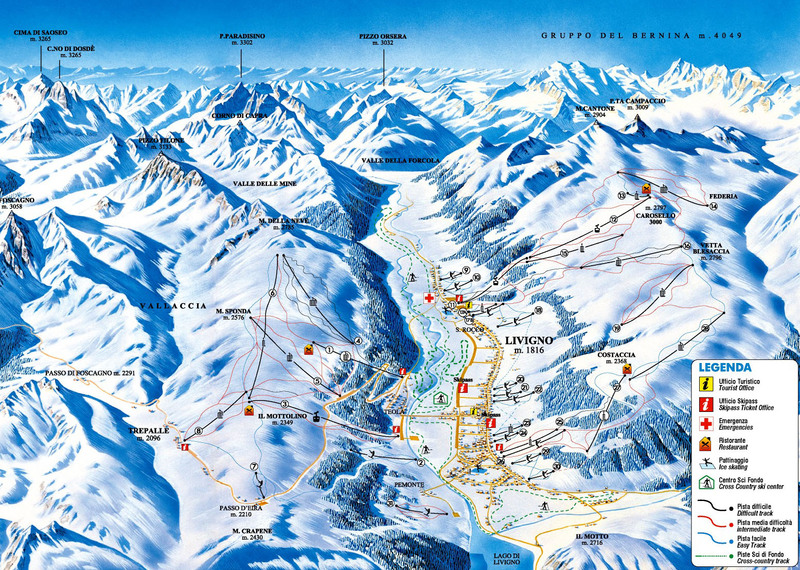 The resort offers good 70km ski slopes of all difficulties. 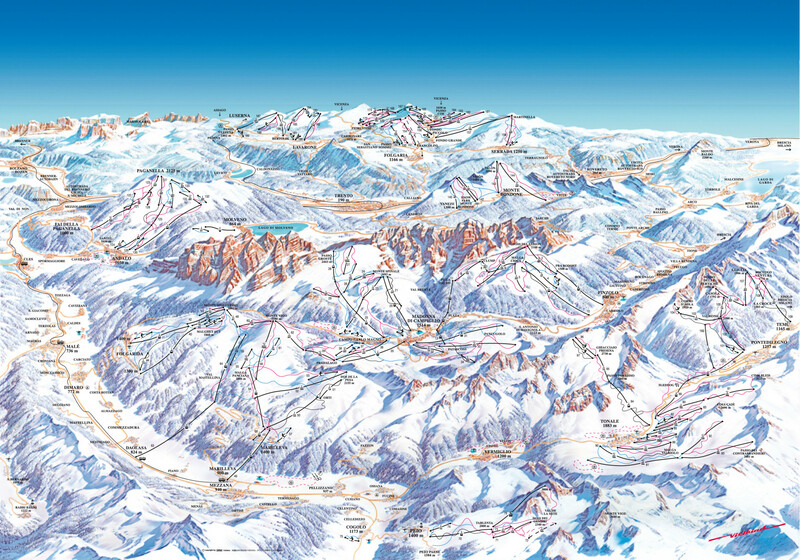 Besides the groomed pistes there are many terrains suitable for freeride and also a snowpark. Accommodations mostly of middle class in Pila and Aosta. 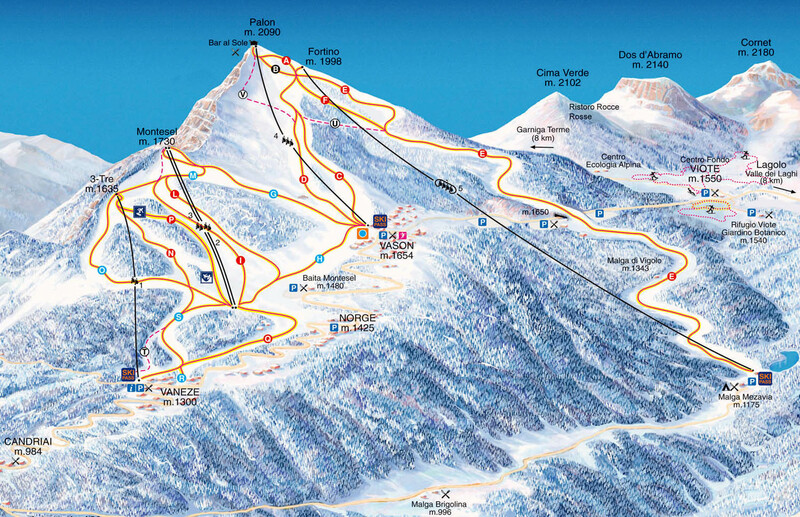 Same name mountain ski resort and tourist village of Sauze d' Oulx (1.510 m above sea level) above which is located nearly 100 km of slopes is not in itself guarantee excellent skiing. 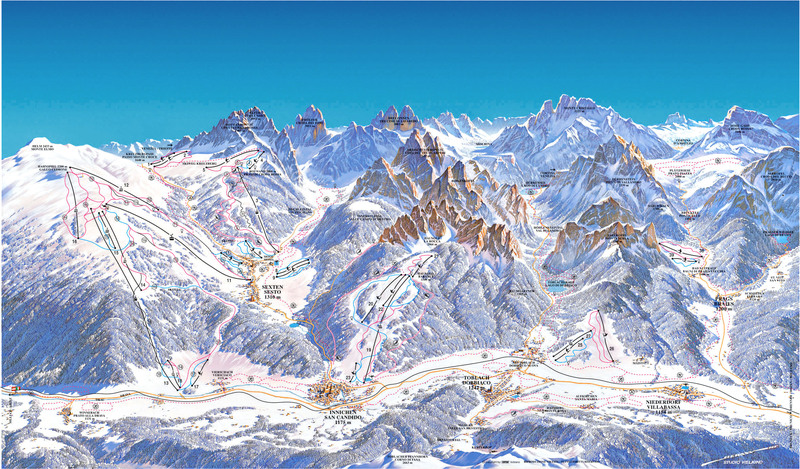 Inter-connection with neighboring Sansicario Sestriere and offers 300 km of skiing and to whom that was not enough, the combed through the valley skiing to Claviere and French Montgenevre. 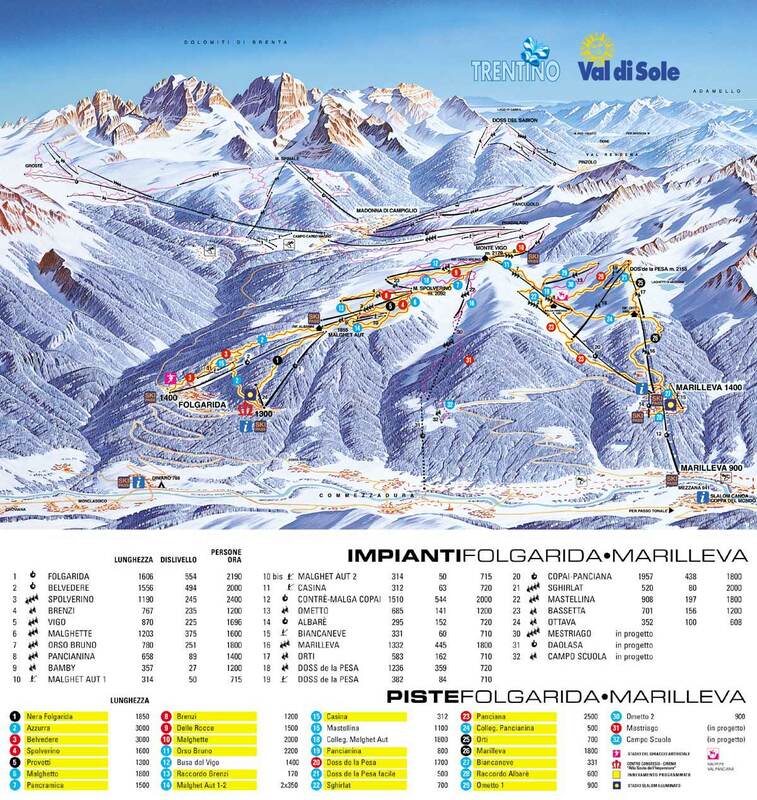 Vialattea famous ski area in a medium high Alps Valle di Susa (the ski slopes are situated at altitudes of 1350-2800 m) Ski resort comprises 4 Piedmont resorts: Sestriere, Sanz d 'Oulx, Sansicario, Cesana and one on the French side - Montgenevre. 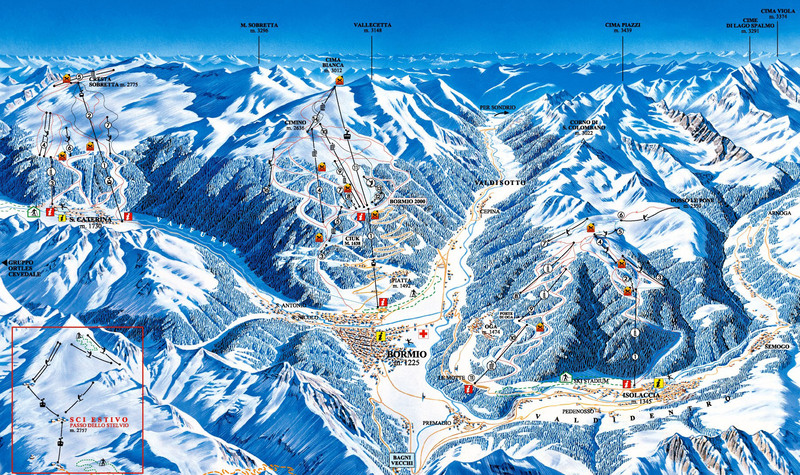 Associated with neighboring Alpe di Siusi creates an attractive five-star ski area, which is located approximately 690 kilometers from Bratislava. The Center is well known thanks to World Cup races in downhill disciplines, which are regularly organized. It belongs to the most wanted in the Italian Dolomites. Secret ski tip in the South Tyrol Val Senales (German Schnalstal), the only ski resort in Italy all year round. 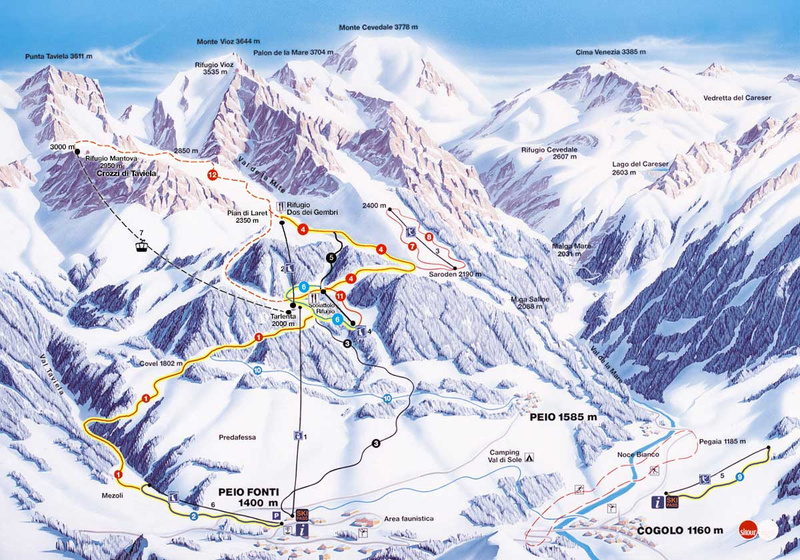 Glacier is accessible from there up to 3289 m lead slopes of all difficulty levels ranging from a carving to challenging black runs, the longest 8 km route, Ortler Alps ski pass valid in 15 centers (total 300 km of skiing). Only 11 km from a major resort Cortina d'Ampezzo lies in the Valle village Cadore San Vito, Borca, water, surmounted by a small ski resort with 14 km of moderate and light trail, serving two seats and one lift. Suitable only for families but for all who prefer a quiet natural environment from the bustling center of Cortina. The welcome gate to the Dolomites, a pleasant family ski resort with complete offer of winter ski sports and activities, well accessible from Innsbruck (directly at the main highway E45). 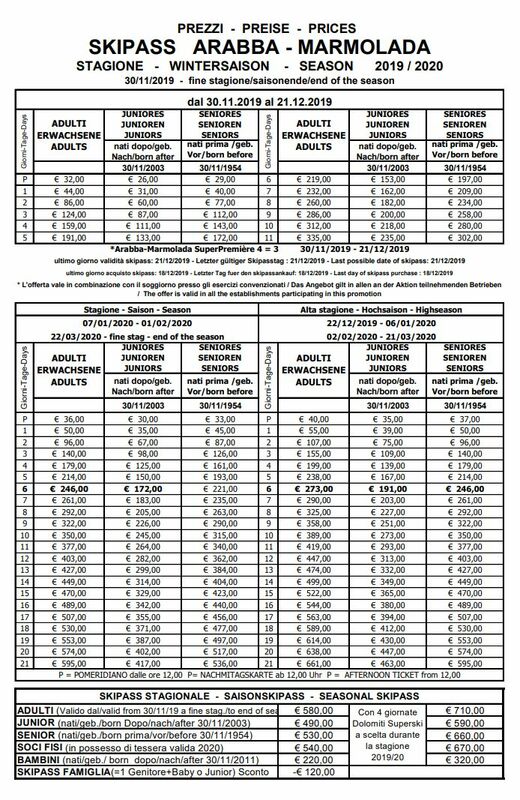 Suitable for a family winter holiday, also for non-skiers. 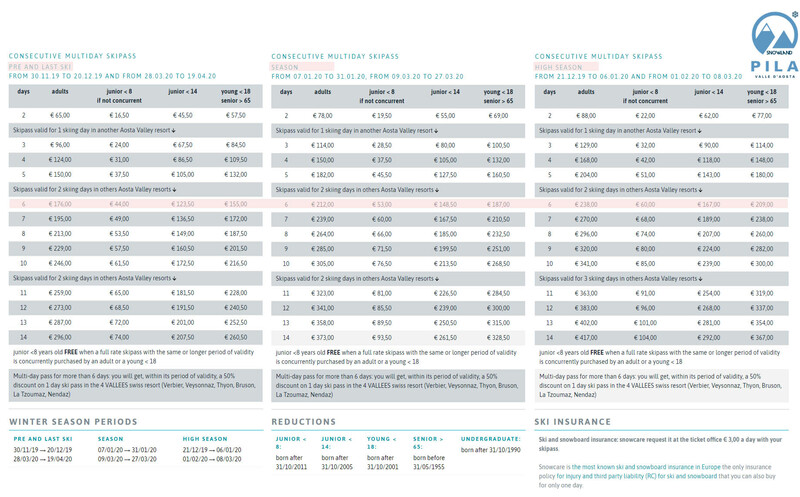 Affordable rates for accommodation of all categories in six separate areas.